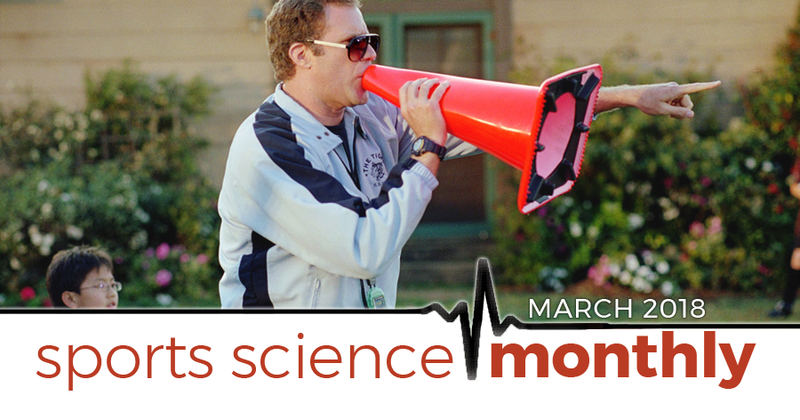 In the March edition of Sports Science Monthly we look at new research across a variety of areas including the impact of coaching behavior, Selye’s General Adaptation Syndrome, nordic hamstring exercises, genetic testing, monitoring fatigue and more. Hamstring injury prevention in elite sport: where is the evidence pointing? Monitoring fatigue – what do coaches want? » Quick summary: A coaches behavior has a big impact in the development, both emotional and physical, of an athlete; their behavior can have a life-long impact on the athletes under their wing. Regular readers of content on HMMR Media will be no strangers to the fact that the adaptive response of an athlete to a training stimulus is hugely complex. Previously, I wrote in detail on epigenetics – small changes in gene expression that don’t affect the underlying genetic code – which is a way that our environment can influence which genes become “switched on”. For example, a gene called PPARGC1A is involved in mitochondrial biogenesis (producing more mitochondria), which is an important adaptation to aerobic exercise. When we exercise aerobically, this gene becomes expressed, producing its protein and allowing mitochondrial biogenesis to occur. However, if we have been sedentary for a long time, then our bodies will find this harder to do so, often because a chemical group will have been attached to the gene at a particular point. Regular exercise will eventually remove this chemical group, but it’s an illustration of how our lifestyle can impact our genetic expression. Similarly, the work of John Kiely has been very important in allowing us to understand the impact that stress has on our biology, which in turn impacts our response to exercise. This stress doesn’t necessarily have to be current; what happened in our childhood may impact our stress response, which may impact how we respond to exercise. Myself and John recently tried to synthesize some of our thoughts in a paper – Understanding personalized training responses: can genetic assessment help? In summary, there are many aspects which influence our adaptive response and potential, such that things that happened a long time ago may hold a long term, modifying legacy. This sets the scene nicely for our first study this month, titled Scarred for the rest of my career? Career-long effects of abusive leadership on professional athlete aggression and task performance. In this study, the authors focused on 57 NBA coaches, who coached for at least one full season between 2000 and 2006. They collected information on the coaches’ leadership behaviors to fully understand how they interacted with their athletes. They then collected data from 693 NBA players who played under these coaches. Next, they compared the performance of the players under each of these coaches, and afterwards, to see what they could find. One of the main findings was that an increase in abusive leadership from the coaches led to an increase in the number of technical fouls that occurred in-game, suggesting an increased amount of aggression from the players. This trend was maintained even after the players or coach left that team; the players would be more aggressive throughout their career, committing an increased number of technical fouls. Similarly, having been exposed to an abusive coach leadership style, player performance typically declined, and again this was maintained after the coach and player stopped working together. As such, the key conclusion from this study is that exposure to an abusive leadership style can negatively impact both the aggression and performance of an individual athlete over their career. The take-homes from this are clear; how you interact with your athletes can affect them for life. As such, the inter-personal relationship you cultivate with them is crucial, which is something that many coaches (myself included) often neglect in favor of an emphasis on physiology. The findings of this study suggest we should perhaps put equal effort into our leadership and coaching styles.